1 Jan 2018 – Given the massive shift of world collective consciousness emergent after, among other astonishing developments, U.S. President Donald Trump’s arguably intended to provoke and dangerous Jerusalem announcement – and especially considering the dramatic response by member states at the United Nations (UN), now would seem the perfect storm, confluence-of-events time for the world’s genuine peacemakers to conduct an energetic push towards long-overdue reform of the UN, and making wars of aggression punishable. Or, in plain-speak, now is the opportune time to end forever in all its dimensions impunity for war criminals. In the United States, for example, the Constitution allows for adjustments by the people as time goes by and societal conditions evolve, and the supreme U.S. law-of-the-land document has been amended a number of times when deemed necessary. Similarly, and invariably, the world and humanity evolves and conditions change to the point of requiring necessary actions correspondent to newly developed circumstances. 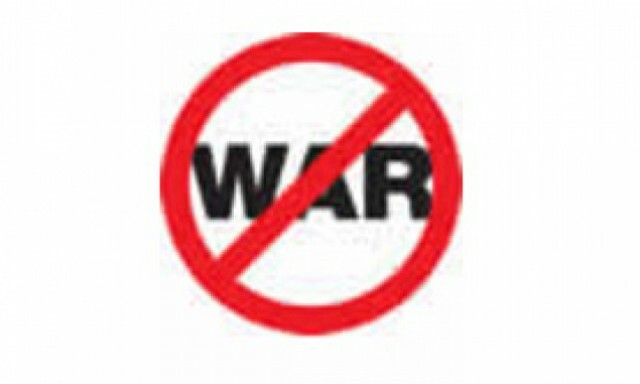 Let us call the proposed United Nations reform to the UN Charter a similar legally binding amendment, or treaty, or instrument, but – no matter the name and/or process necessary for bringing about truly effective legal enforcement on a global level – the vital point of such an initiative is making wars of aggression an action individuals (historically, in most instances the wealthiest and most powerful) will certainly think long, hard and twice about, because they are (now) subject to prosecution and punishment. This describes the basic foundation of deterrence, the legal term fully understood by any man or woman with a reasoning, functioning brain. 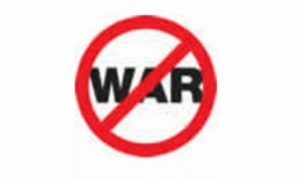 May we suggest that a similar effort to end impunity for war criminals, embodied in and anchored on the simple United Nations reform just described, led by a new globally supported organization with the name “International Campaign to Abolish War”, would become the next recipient of the Nobel Peace Prize for year 2018? It’s safe to say every human being on Earth would gladly welcome the elimination of both nuclear weapons and wars of aggression from the Earth. ICAN’s name suggests the sole goal of the organization is abolition of nuclear weapons from the face of this Earth. But it can be said: given the likelihood any escalation of violence today approaching the destructive levels of World War I and World War II would involve the use of nuclear weapons – so in the ultimate, logical path sense ICAN’s vision is all about total abolition of both nuclear weapons and war. Many are comparing the international situation today as more dangerous than that which existed during the time of the Cuban Missile Crisis of 1962, and it’s likely the majority of men and women who come to read these words will agree. One senses that humanity is closing in fast on the time of maximum moral decision, or has perhaps even already arrived at its greatest collective rendezvous with destiny in recorded history. The decision upon which civilization now will depend for their very lives to continue, and begin again for those to come in future generations, is whether to take right action or not. Deciding to abolish war forever is clearly taking right action. There is only one human family. Arguably, an overwhelming majority of people the world over wish to live in human-created conditions guaranteeing their opportunities for experiencing some significant level of love, peace and harmony. War is undeniably in the way, and represents the absolute obstacle to achieving humanity’s highest vision. There is only one simple, yet immeasurably profound and unavoidable question. Why not take right action, and take it now? Jerry Alatalo is a peace activist and writer from the Upper Peninsula of Michigan in the United States.